We went to Murren, Switzerland which is a cute village above Lauterbrunnen (elevation 5412ft). We stayed at the Eiger Guesthouse for 5 nights, which was wonderful. 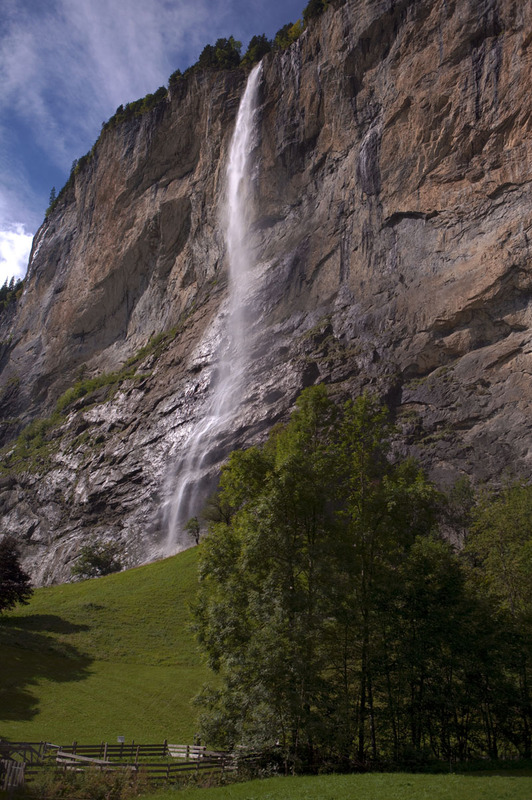 On the last day, the weather was beautiful after a few overcast days, and we decided to hike down to Lauterbrunnen. I thought how easy this would be, because climbing up a mountain certainly is not easy (at least not for me). It was actually difficult. Walking downhill for that length of time is pretty strenuous. And it was slippery from the runoff from the snow at the very top. I actually fell a couple times, almost breaking my precious camera! 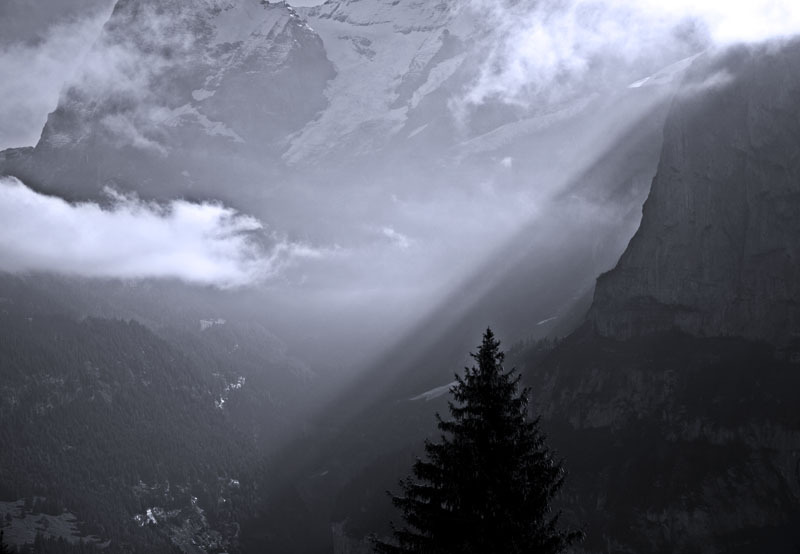 The photo with the sunray coming through the clouds was taken about 10 am, in Murren before we headed down. You can also see this photo at etsy.com. The waterfall is Staubach falls which starts a little below from where we hiked from. 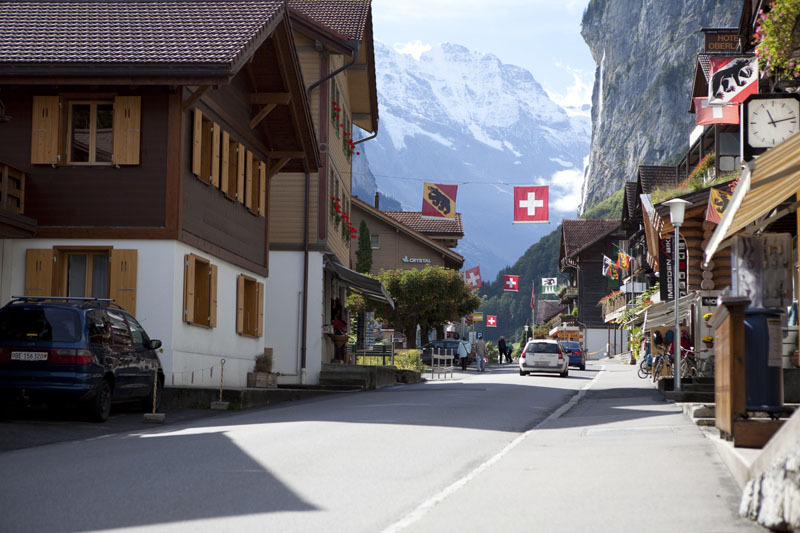 The photo with the buildings is the main street in Lauterbrunnen. This part of the Swiss Alps is so beautiful, I bet even more so in the winter!